Photo by Axelle/Bauer-Griffin/FilmMagic(LOS ANGELES) — This New Year’s Eve was very special for Will Smith and Jada Pinkett Smith: They celebrated their 20th wedding anniversary. The Fresh Prince paid tribute to his wife with an emotional Instagram post featuring a photo from their wedding day. 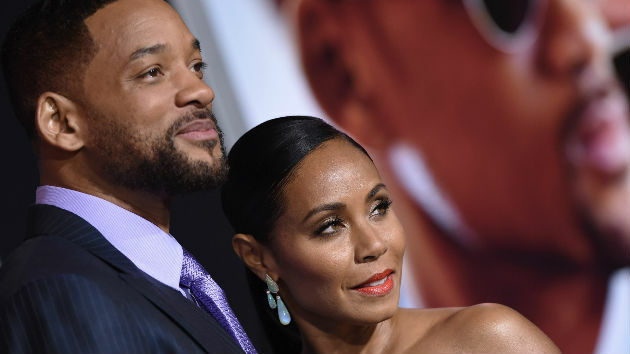 Will and Jada have two children: son Jaden, 19, and daughter Willow, 17. They met in 1994 on the set of The Fresh Prince of Bel-Air when Jada auditioned for the role of The Fresh Prince’s girlfriend, Lisa Wilkes. She lost the role to Nia Long. The couple began dating in 1995, and were married December 31, 1997 in her hometown of Baltimore, Maryland.